This 2013 piece connects well to the one I just posted. We are not only stressing our children out, we are also "an educational system that actually uses stress as an educational technique." This is inhumane and not sustainable. This must change. Our ancestors didn’t evolve in a constant stress environment. Back then, stress came quickly and was over quickly, it didn’t grind on and on like the stress of modern education. Stress was originally just a short term biological response to danger, however the constant stress of modern education rarely lets up. It’s long term, at least ten years and usually more. Prolonged stress can overload the brain with cortisol; this is a chemical that promotes impulsive and reactive thinking designed to get the individual out of danger.Recent research has shown that the neurological/chemical response to stress is the same response that is found in depression. It appears that depression may very well be a stress response that has simply gone on too long. Author’s Bio: Dr. Tali Shenfield is a Clinical Director of Richmond Hill Psychology Center. She holds PhD in Psychology from the University of Toronto and accredited by the College of Psychologists of Ontario and Canadian Psychological Association. You can read more from Dr. Shenfield in her psychology and parenting blog here. Just reading this makes me sad and anxious. I can totally imagine this state of being averse to school and not wanting to get out of bed. I had one experience like this when I was a second grader in a school in an Alamosa, Colorado, school when I was being treated in a prejudicial way for being Mexican by another student. My mother, of course, had to intervene lest I become a second-grade dropout. Thankfully, through her intervention and with help from my teacher, Ms. Hitchcock, I was able to overcome this and survive the second grade. Although for me at the time, it was a matter of extreme importance, I realize that the whole experience could have been much worse—as it is for many children today. I agree. 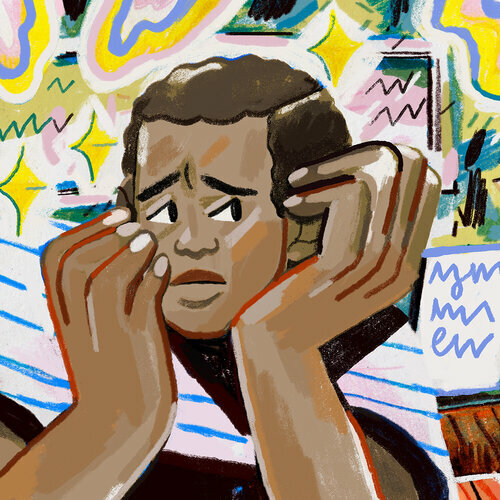 Anxiety-based, "School Refusal" merits therapeutic, as opposed to disciplinary, treatment. Just imagining what young people have to go through these days with all the pressures, expectations, and stress-inducing news directed their way on a daily basis makes me wonder why the percentage of kids experiencing what health professionals are calling, "school refusal," isn't higher. But yes, that any child should experience this is one child too many. My only hesitation is solely pathologizing this and not considering the oftentimes invisible, even if ferocious, policy structures and practices that inadvertently promote School Refusal. Ubiquitous in American schools, outcomes-based education seems more suited to the goals of communism than the ideals of democracy. “The activity of the [Stalinist] system of education was not oriented toward encouraging creativity, and the development of the personality but rather toward universal leveling, averaging, and the fulfillment of the social mandate” (Borisenkov, 2007, p. 7). Let's do help our children with their anxieties, but let's not forget the root causes and let's all continue to advocate for a more just world where our children are valued as whole human beings of which their cultural, linguistic, and community-based identities are an important part. 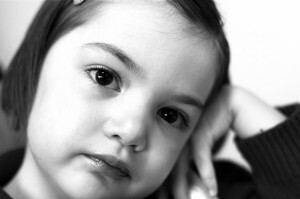 Anxiety-based school refusal affects 2 to 5 percent of school-age children. 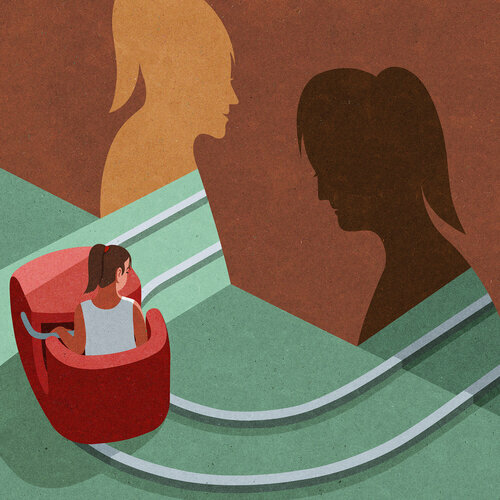 Some schools are employing new strategies to help these students overcome their symptoms. Your child doesn't want to go to school. It's a daily struggle that many parents are familiar with. But what if your child refuses to go to school? Mental health professionals and educators say what used to be considered run-of-the-mill truancy could actually be something else. 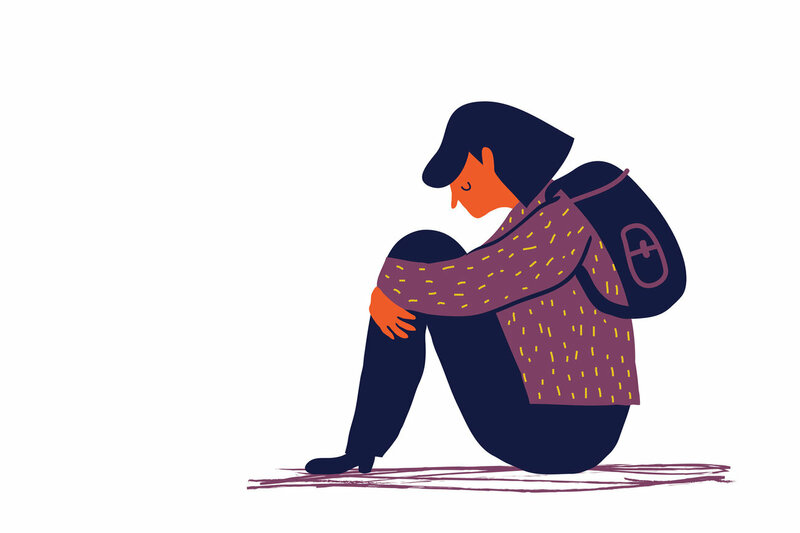 Some cases of chronic absenteeism are now being called "school refusal," which is triggered by anxiety, depression, family crises and other traumatic events. It can lead to weeks or even months of missed school days. The Anxiety and Depression Association of America estimates anxiety-based school refusal affects 2 to 5 percent of school-age children. It is often triggered when students are transitioning into middle or high school. Doctors say it should be treated with flexibility and therapy - not punishment. "Before you are even in the building, the mind is racing," says Matt Doyle, a therapist and clinical social worker in Massachusetts. He tells Here & Now's Robin Young, it's like "the domino effect." "So the perceived inability to complete a homework assignment creates this sense of panic and dread: 'What's coming the next day? Am I even going to sleep tonight? What are my parents going to say? What are my friends going to say, because I've come for the fifth day in a row with no homework?' "
As the anxiety snowballs, many children will refuse to even get out of bed in the morning, Doyle says. Some suffer physical symptoms such as panic attacks and stomach aches. The cause of school refusal is different for every child, but Emanuel Pariser, of the Maine Academy of Natural Sciences, says it likely reflects the heightened state of stress and anxiety in today's society. He also tells Young it comes down to trust. "I do feel like the immediate cause for our kids is some kind of rupture in their relationships with adults, and that school does not feel like a safe place for them to be. And when you look at Maslow's hierarchy of needs, safety is the No. 1. If they don't feel they're safe, they cannot learn," says Pariser, referring to the psychological theory of human motivation. Some schools are employing new strategies. The Threshold Program at the Maine Academy of Natural Sciences, which is a public charter high school, sends teachers into the homes of students. The school is four weeks into the program. Twenty-one students are enrolled, 18 of whom are diagnosed or identify as having some type of social anxiety. Teachers develop a curriculum for each student that is tailored to something that interests them, Pariser says. "We want them engaged in the act of learning," he says, which begins with developing trust between the teacher and student. Similar to the Threshold Program, Doyle, the clinical social worker from Massachusetts, calls his work "home-based intervention," in which he and his colleagues observe parents' struggles to get a child to school. "I typically pull up a chair next to this child's bed, and we talk about what's going on, 'Help me understand a little bit about what is happening this morning,' " Doyle says. "And the things I hear about are very diverse," ranging anywhere from social bullying to online harassment. Doyle says by reframing chronic absenteeism as a mental health issue — not a behavioral problem — helps children ease back into the classroom. "For example, having a greeter at the school, making it feel like a welcoming environment for that child to come to, versus, 'Two more times and the truancy officer will be coming to your home,' " Doyle says. On the other hand, even if kids have to stay at home, they can still make progress, Pariser says. Since the Threshold Program started in September, some students have started to go back to school, while others are still stuck in similar patterns. "Our overarching goal is to get them to graduate from high school," he says, "and if we can work them back into a more conventional school environment, that is great." While some critics dismiss these programs as coddling students, Pariser says most kids are not trying to manipulate their parents when they refuse to go to school. "It is much more often an act coming out of fear and coming out of a sense of a lack of empowerment as opposed to a sense that you can push back on things and get what you want," he says. Concerning piece about what appear to be institutionalized deficit perspectives involving Texas teachers and classrooms populated by bilingual children from low-income backgrounds. I will have to read the Hart and Risley research to see whether this is in actuality a distortion of research findings as suggested herein. Perhaps it's an actual bias. I feel proud that this research by my colleagues, Drs. Jennifer Keys Adair and Kiyomi Sánchez-Suzuki Colegrove, and UT Educational Psychology Doctoral Student, Molly McManus, is getting the attention it deserves. It is hard to think of anything more disheartening than denying 6-year-olds a chance to be enriched by a stimulating program for fear their vocabularies aren’t good enough. I have never encountered educational research so distorted, to such ill effect. Jay Mathews is an education columnist and blogger for the Washington Post, his employer for 40 years. But economic losses are only one way of thinking about the consequences of sea-level rise. The number of people who may be displaced – in other words, potential climate refugees – is another. When you factor in future population growth, Lagos is near the top of the list of places to worry about. By 2050, the city is projected to have 30 million people. How many of those will be swamped by rising seas and forced to flee? Various studies have come up with numbers ranging from 3 million to 8 million. 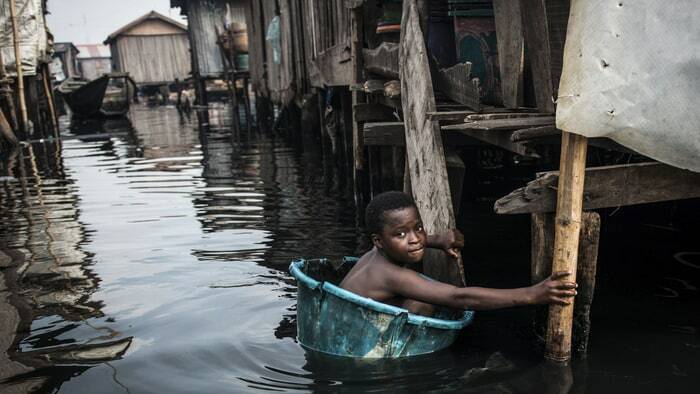 Whatever the number, you only have to spend a few hours in Lagos to understand that sea-level rise will displace a lot of people, and those people are going to have to go somewhere. Thanks to American civil rights attorney, Judith Browne-Dianis, for sharing. All of this is so troubling and terrifying. She herself, a brilliant national leader, is co-director of the Advancement Project, a progressive, nonprofit based in Washington, D.C.
We were together to honor both John H. Jackson and Barbara Madeloni as this year's "Deborah W. Meier - Heroes in Education Award" in a wonderful program that recognizes the contributions by major, national leaders in education, including their championing of the fight against high-stakes testing. You can check out the FairTest Staff and Board here. FairTest always puts on such a beautiful program. Dr. John H. Jackson is President and CEO of the Schott Foundation for Public Education. Dr. Jackson leads the Foundation’s efforts to ensure a high quality public education for all students regardless of race or gender. He joined Schott after seven years at the National Association for the Advancement of Colored People (NAACP). Dr. Jackson also served on the Obama-Biden Education Policy transition team and was Senior Policy Advisor in the Office for Civil Rights (OCR) at the U.S. Department of Education in the Clinton Administration. He holds a J.D. from the University of Illinois and a Doctorate in Education from the Harvard Graduate School of Education. Thank you, FairTest, for doing all that you do in leading the nation in the fight against high-stakes testing. Your work has made a tremendous difference in the struggle that has evolved into an opt-out movement that I am hoping will merge with other movements. 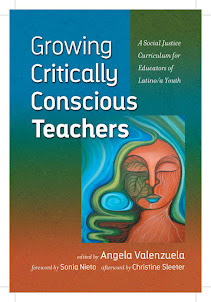 These consist of the bilingual education, Ethnic Studies, place-based education, authentic assessment, and grow-your-own, critically conscious teacher agendas in order to forge a culturally sustaining, fair, and equitably-oriented approaches to educational reform that are rooted in the cultures, languages, histories, stories, and lived experiences of our communities. We must develop and nurture partnerships between community-based organizations, non-profits, civil rights groups, and higher education institutions, districts and cities. Together, we can accomplish this great task of re-envisioning public schools, working in an interlocking way with our resource-rich communities and local organizations. We're going green in other places. No reasons why we can't or shouldn't go green in education by getting close to the ground in our communities. Plus, we are all the better for it. This is grassroots democracy at its best! And let's keep fighting against these tests that for far too many a student, render the schooling experience a punishing one. We need less schooling and more education. Why must education be a punishing one for any child? Why must education be a punishing one for any teacher or administrator? It doesn't have to be this way. But our communities must organize in and with our most democratic institution in our history in this country, namely, the public schools. Yes, more people of conscience need to run for public office, but this is but only one component. We need to work to bring the late education philosopher, psychologist and education reformer, John Dewey's, words to life in his characterization of public schools as "laboratories for democracy." These standardized, high-stakes tests are handmaiden to the pursuit of the corporate sector's complete ownership and control of public education—a dystopia, with only a few public school "outposts," vestiges of an earlier era, located here and there. No matter how nicely dressed it looks—which these corporate folks happen to be very good at when you see that they put so much of our taxpayer money into marketing and not teachers who do not have to be certified to teach in their schools—this anti-democratic approach equates to a diminishing of democracy, meaning a loss of democratic control over public education. No more elected school boards or elections. This is a contract society where you as a consumer get the best education you can buy and beholden to a corporation. How alienating. How meaningless. And how, as a consequence, dangerous, or potentially so. John and Barbara, thank you for doing all that you do in the world to help our children, parents, teachers, and communities. 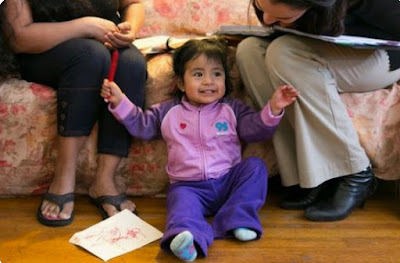 And Judith, may you keep up the good fight! So wonderful to see you and everybody at FairTest. Those of us that have been involved in the struggle against high-stakes testing have been well served by FairTest over the years. My friends, do consider making a donation to FairTest HERE so that they can keep on doing great work. And do read this very concerning piece below. Our nations are, for the most part, not having the conversations that we need to be having on climate change and its current impacts, and how these are circumscribed by class, race, economics, and power—including the making of a "climate apartheid," as this piece so clearly shows. The devastation of Hurricane Harvey can be seen all over Houston, Texas. Dedicated to giving back together, Sydney Paige has teamed up with the Orinda Union Schools, Miramonte High School, The City of Orinda and a local nonprofit Mindful Littles to show #OrindaCares. Through Helping Hands for Houston, they are focused on supporting the student victims of Hurricane Harvey. Made from eco-friendly materials of 100% cotton canvas, natural leather, nickel free hardware, and recycled polyester where possible, Sydney Paige is committed to lending a hand. Through their Buy One/Give One Program, Sydney Paige donates a matching bag filled with school supplies to a child in need every time a purchase is made. On a mission to raise funds to provide 1,000 backpacks filled with essential school supplies, #OrindaCares comes together with open hearts, hoping to make a real impact on the lives of so many affected by Hurricane Harvey. Half of the way to accomplishing their goal to give back, you can help them achieve this act of compassion for children in the Houston area. Join the effort by making a donation and help the students of Houston know that #OrindaCares! For more information, please visitwww.sydneypaigeinc.com or contact Susana at susana@chicexecs.com. ChicExecs PR is an “out of the box” PR company, which represents over 200 clients. ChicExecs has created an innovative approach to PR dedicated to helping small-medium businesses receive media coverage. Our revolutionary automated system is changing the face of PR. To learn more about ChicExecs visit www.chicexecs.com.